Sainsbury’s supermarket is ramping up its vegan offerings with the release of two innovative new products: plant-based ‘shrimp’ and smoked ‘salmon’. Thirty years ago, Asian foods like tofu, soymilk and shiitake mushrooms were novelties reserved for hard-core ‘foodies’. Today, these foods have been enthusiastically embraced by consumers and are now considered commonplace. Now, there is a new “kid” on the block: Konjac. 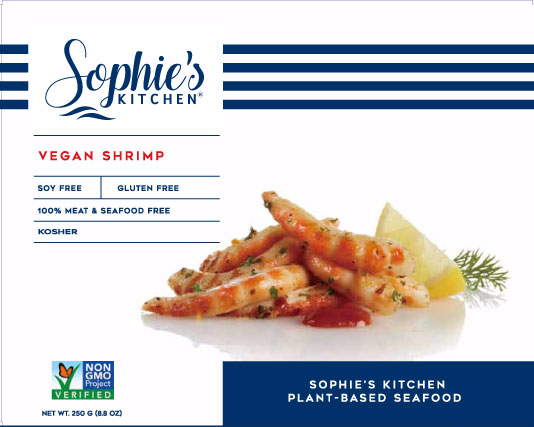 Konjac is the next wave and one company, Sophie’s Kitchen Vegan Seafood, is pushing the boundaries by using konjac and pea protein to create plant-based alternatives to seafood. 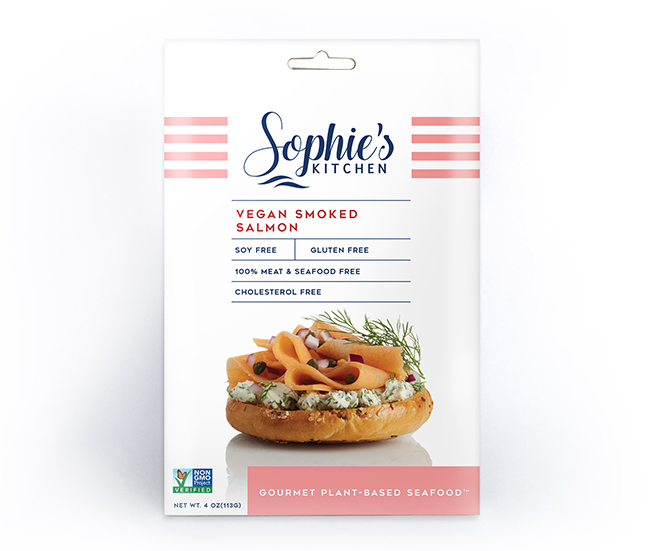 Sophie’s Kitchen products are the best-selling veggie seafood alternatives in North America and are also available in Canada, Israel and France, and now they’re heading to the UK as Sainsbury’s supermarket gets set to become the first UK stockist. But what is Konjac we hear you cry! Konjac, pronounced ‘kon-jack’, is a plant native to Southeast Asia and Indonesia where it has been used for thousands of years as an everyday staple. It is also extremely popular in traditional Japanese cuisine thanks to the fact it has no calories and is high in dietary fibre. Some studies have also suggested that the ingredient may mitigate the transport of cholesterol, as well as being an effective hypoglycemic and hypoinsulinemic agent. The award-winning, 100 % plant-based alternatives are Non-GMO Project Verified and both soy and gluten-free making them great for those with allergies and intolerances as well as for vegans. Sophie’s Kitchen makes their products using only real food ingredients: no lab-grown ingredients, colours, or fillers. 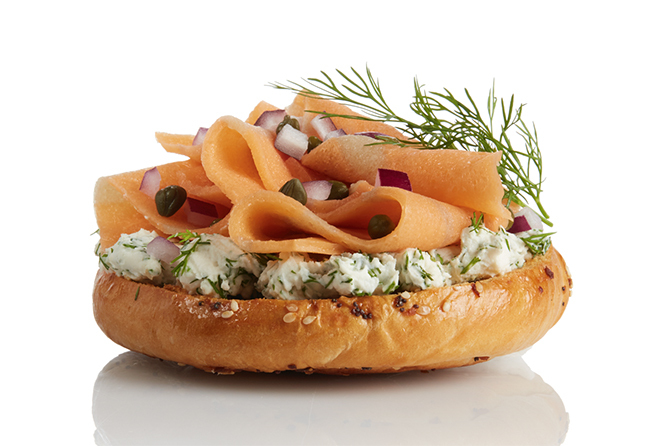 The Vegan Shrimp and Wood Smoked Salmon are packed with umami flavour and mimic the taste and texture of their fishy counterparts so well that they make the perfect replacement for vegans. With experts predicting we may see fishless oceans as soon as 2048, these products are an exciting new launch that offer customers a deliciously cruelty-free and sustainable option. Sophie’s Kitchen will launch into 400+ Sainsbury’s stores in January 2019. Image credit: Supplied by Sophie’s Kitchen.